Sponsor the Event: Would you like to sponsor this event? Click here for a list of sponsorship levels, and contact Kelly DiGiacomo to lock your sponsorship of Men Who Grill 2019 in. Kelly can be reached at 970-946-3130 or at events@wrcdurango.org. Grilling Teams: Put your grilling skills to work! Whether you’re looking to promote your club, organization or business, Men Who Grill is a great place to showcase your culinary skills in front of upwards of 600 attendees, all the while giving back to a local nonprofit. Registration to compete in the event is free. Teams supply their own grills and food to serve. Click here for a team registration form. For more information contact Kelly DiGiacomo at 970-946-3130 or at events@wrcdurango.org. 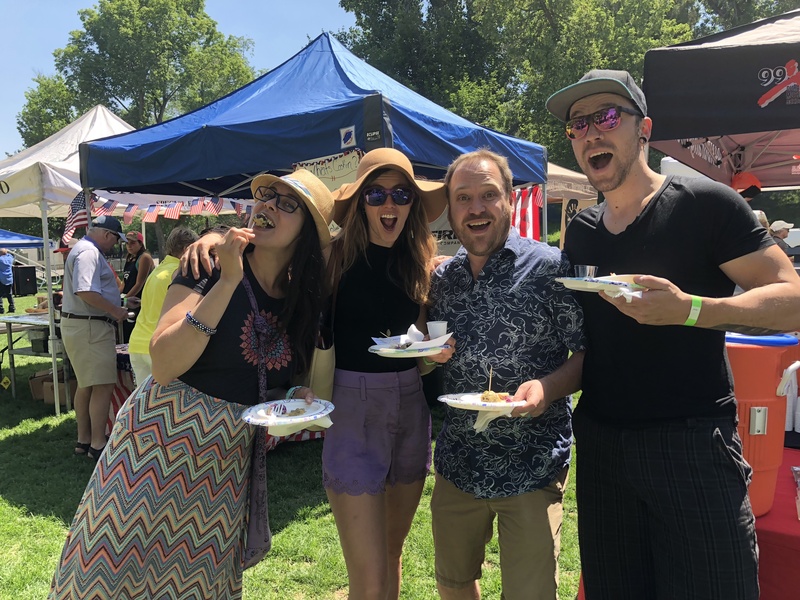 This year’s big winners included Honeyville, Honeyhouse Distillers & Bank of Colorado who won both the Judge’s Choice and the coveted People’s Choice Awards for their street tacos / bacon wrapped poppers & mini cherry trifle. The Kirk James Blues Band entertained the crowd throughout the day while Steamworks served their classic cold brews to combat the early summer heat. Thank you to everyone who came out on Saturday, even with the 416 and Burro Fires burning, to make the day such a success and congrats to all our grill teams who put forth their time, energy and resources to make the day so memorable for everyone involved. This year’s awards are as follows…. This year’s Men Who Grill was presented by Bank of Colorado at 1199 Main Avenue in Durango. Not only are they the event’s presenting sponsor; they also competed in the event with Honeyville & Honeyhouse Distillers, and provided award-winning food! Thank you to our 2018 Men Who Grill Sponsors! Now in its 15th year, Men Who Grill has become a community summertime staple where attendees sample everything from wild boar ribs and pork belly sliders to chicken wings and beer brats. It’s a time of family, fun, and good ‘ol fashioned grilling competition. Team Registration – Interested in competing in this year’s Men Who Grill Competition? We have room for up to 15 teams for this event and we’re already receiving registrations. Click here for your team registration. Registration deadline is Friday, May 18. Volunteering – As with all of our fundraisers, this competition is made possible by the generous community members who volunteer their time. 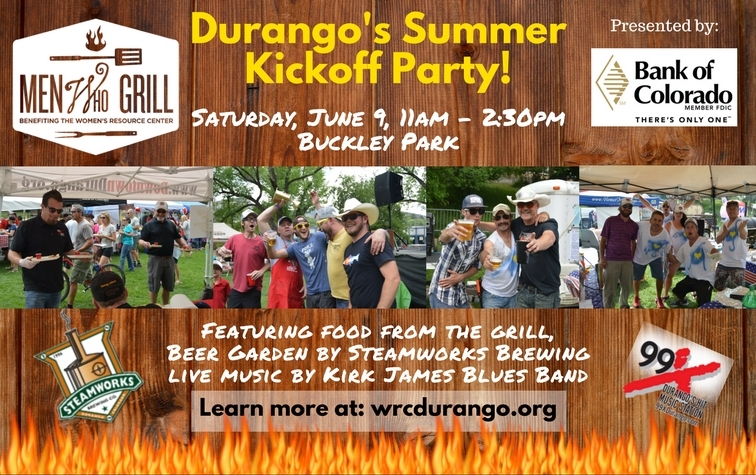 If you’d like to volunteer for this family friendly event, contact Katrina at events@wrcdurango.org. Tickets – Admission at the gate is $25 for adults, $10 for children 5-12, and FREE for children under 5. Tickets can be purchased in advanced for only $20 at the following locations beginning Friday, May 11.